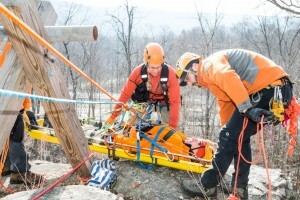 New Jersey Search and Rescue’s Mountain Rescue Unit is staffed by highly skilled volunteers with expertise in mountain rescue and first-rate patient care. 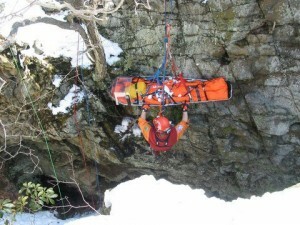 The NJSAR Mountain Rescue Unit provides specialized mountain rescue services including high-angle rescue, patient evacuation and wilderness first aid care. NJSAR is dispatched only by law enforcement and never charges for its services. Members are honored to wear the blue and white Mountain Rescue Association patch and the unit is committed to carrying on the MRA’s 50 years of excellence in mountain rescue. All Mountain Rescue Unit members are ground searchers first, and prospective members of the Mountain Rescue Unit must first attend an NJSAR team meeting, submit an application and become a candidate. 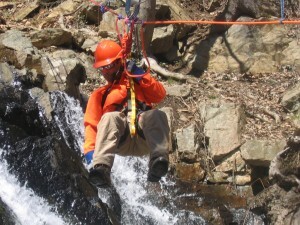 Candidates are trained in ground search and rescue techniques, wilderness first aid, map-and-compass navigation and other disciplines. Mission-ready candidates may apply to join the specialized Mountain Rescue Unit. Becoming a fully qualified “Rescue Member” of New Jersey Search and Rescue’s Mountain Rescue Unit requires a tremendous level of dedication. 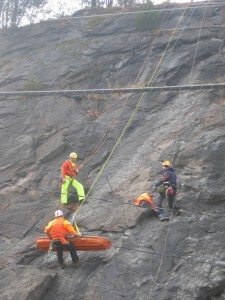 The unit is committed to safe, efficient and effective mountain rescue efforts. For more information on joining the New Jersey Search and Rescue Mountain Rescue Unit please Contact Us. To dispatch the Mountain Rescue Unit please call our 24-hour emergency number: 201-646-2705.